Berries might be small but they are big when it comes to nutritional value. Eat just a handful or two of these berries every day and you could enjoy better health throughout your life because of the unique age-fighting antioxidants and phytochemicals they contain. They are good for your skin, your brain, your heart, your joints, your eyes and every system of your body. Blueberries are described as “super foods” by most nutritionists because of all the different nutrients they contain. They are a source of lutein and zeaxanthin, antioxidants proven to be beneficial for both the prevention and treatment of an age-related eye disease called macular degeneration. Age-related macular degeneration is the most common cause of blindness in the elderly. Blueberries contain resveratrol, an antioxidant you may have heard of. It is believed to be responsible for the heart-health benefits of red wine. In addition to promoting heart health, resveratrol also has natural anti-inflammatory activity that may keep your joints healthy. Inflammation also plays a role in cancer and heart disease. Vitamin K is another important nutrient found in blueberries. Vitamin K is important because it ensures that calcium is deposited in the bones and not in the arteries where it can cause heart disease. Many people take calcium supplements for the prevention of osteoporosis but they fail to get enough Vitamin K. So, the calcium may work against their heart health and may not reduce their risk of osteoporosis. Blueberries are also a source of manganese, another nutrient important for strong healthy bones. Other nutrients the berries provide include beta-carotene, potassium, phosphorus, vitamin E, calcium, iron, magnesium and many of the B vitamins. A cup a day will boost your energy levels, help reduce your risk of many age-related diseases and also help you reach your recommended daily intake for fiber. Studies indicate that a diet rich in natural fibers helps to lower blood cholesterol levels, keeps you regular and also reduces your risk of colon cancer. If you have frequent urinary tract infections, you should try adding some cranberries to your diet. Cranberry juice is an alternative for reducing the risk of UTIs and may even help with the treatment of an existing UTI. The juice does not provide the fiber that is so important to your digestive health but studies show that drinking the juice helps to prevent tooth decay by inhibiting the formation of bacteria responsible for plaque formation. There is some evidence that eating cranberries may reduce your risk of certain kinds of cancer, including prostate cancer. Cranberries contain most of the nutrients found in blueberries. The calcium content is a little higher. The vitamin K content is a little lower. The manganese content is about the same. If you like both, you might have a serving of one today and the other tomorrow. A varied diet is recommended because there are so many unique phytochemicals and antioxidants in fruits, vegetables and berries of all kinds. One cup of blackberries provides nearly twice as much fiber as blueberries. The nutritional value is similar to that of other berries with two unique additions: vitamin C and omega-3 fatty acids. One cup provides about half of the recommended daily intake of vitamin C. The seeds are an excellent source of omega-3 fatty acids which are important for heart, brain, joint and eye health and immune system strength. Blackberries are also a source of salicylic acid, the natural compound from which aspirin was derived. Ellagic acid is another compound found in blackberries. According to studies, the two acids are toxic to a variety of cancer cells, including breast cancer cells. There are many different varieties of raspberries. They all have slightly different tastes which can help you add even more variety to your diet and could encourage you to eat more of these healthy foods. Red raspberries are the most readily available in the U.S., although black raspberries can be found in some parts of the country. The black raspberries tend to be sweeter than the red. They look something like blackberries but are not a source of omega-3s, as they do not contain the large seeds found in blackberries. Raw raspberries provide many of the same nutrients found in other berries. A unique nutrient found in raspberries but not in a significant amount in the berries mentioned above is choline. Choline is particularly important for regulating mood. It is involved in nearly all of the physiological processes that make you feel happy and calm. It is also involved in the methylation process that keeps the feel-good brain chemical serotonin active. This means that raspberries may have natural anti-depressant activity. Strawberries are also a source of choline. A serving provides 71% of the recommended daily intake for vitamin C. Some comparative studies indicate that 8 strawberries provide more vitamin C than an orange. In terms of antioxidant capacity, it is ranked among the top 20 fruits. Strawberries are a source of all the B complex vitamins. They are an excellent source of calcium, magnesium and vitamin K, as well as other nutrients important to bone health. You may have seen other berries being heavily promoted for their health-giving properties, including sea buckthorn berries, Maqui berries, goldenberries, goji berries (although these are becoming more common on store shelves) and camu camu berries. 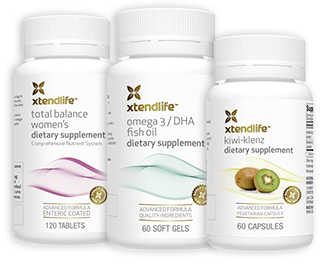 These were not included in the top 5 list because they are not readily available in the US, except in the form of powders, supplements or juices. When they can be found, they are usually more expensive, which means adding them to your daily diet could be difficult. Generally speaking, the health benefits of those less common more expensive berries are similar to those of the berries listed here. If you can afford to include them in your diet or you want to take a supplement derived from them, go for it. The more berries you eat of all kinds, the better your health will be!